How does the FDA’s new approved artificial sweetener, Advantame, fit into a wild food diet? And if you’re not familiar with the latest news coming from the Food and Drug Administration, let me fill you in. On May 19th, 2014, the FDA publicly approved the release of its 6th artificial sweetener into America’s food supply. Advantame, as they call it, is derived from aspartame and vanillin, and is 20,000 times sweeter than sucrose. There are no studies detailing advantame’s long-term effects on the human body. In fact, the long-term study is being conducted now on every human consuming this artificial sweetener. It may be a few decades before we see the real results, however. There are no studies documenting the beneficial effects of advantame on the human body. Sure, researchers may not have witnessed any negative effects experienced by the participants (though remember, most were short-term studies), but what benefits were seen? With a name like “advantame,” you’d think we’d die without it. What’s in it for consumers? Most, if not all, foods containing advantame will be nutrient-poor junk foods. According to the FDA, advantame can be used in “baked goods, non-alcoholic beverages (including soft drinks), chewing gum, confections and frostings, frozen desserts, gelatins and puddings, jams and jellies, processed fruits and fruit juices, toppings, and syrups” (1). Put another way, the word “advantame” will be an indicator ingredient – a sort of red flag – for junk food. 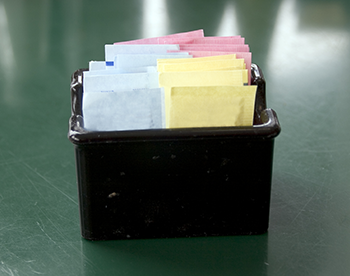 Aren’t five FDA approved artificial sweeteners enough? There are two questions I ask when presented with a novel food. First, is there a physiological need for this food (i.e. are there proven benefits)? If no, then is there any evidence of use by traditional cultures? Advantame fails on both accounts. My advice? Consume sugar in its complex package (for example, as fruits), or use sugars that have traditional relevance, such as honey, maple sugar, and maple syrup. And don’t buy into the hype of advantame … some people are just looking to make a few extra dollars (at the expense of our health, of course). Like what you’ve read? Sign up below to receive notifications for new posts, and don’t forget to check out the Facebook page to learn more about wild food nutrition and identification! When someone writes an paragraph he/she retains the thought of a user in his/her mind that how a user can know it. Therefore that�s why this article is great. Thanks!